Every so often a vehicle comes along that redefines everything you thought you knew about driving. 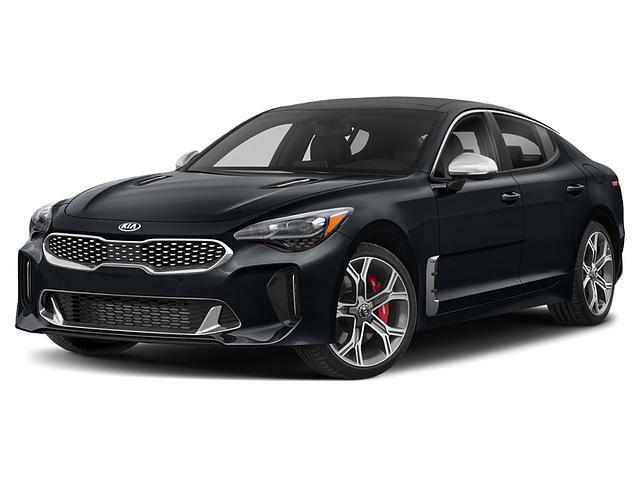 Sleek, chic, powerful, and thrilling, the 2018 Kia Stinger has what it takes to put the joy back into your ride. What sets this remarkable sedan apart? It could be the 3.3L twin-turbocharged engine that spins out a street-scorching 365 horsepower and 376 lb-ft of torque. Maybe it’s the finely tuned suspension system that allows you to customize the handling characteristics so you can dominate any road. Or maybe, it’s the heart-pounding thrill you experience every time you start the engine, knowing that fantastic opportunities are waiting around every corner. Searching for a 2018 Kia Stinger? You’ll find it at Applewood Kia Langley. Turning the cabin into a mobile concert hall with the available Harman Kardon® premium audio system that pumps 720-watts through an external amplifier. You’ll enjoy your music like never before through 15 speakers — including under-seat subwoofers. The Kia Stinger seamlessly integrates into your life and keeps you connected on the go with Apple CarPlay® and Android Auto™ smartphone integration. Now you can make calls, reply to messages and enjoy your favourite apps all with the sound of your voice. Excitement meets practicality in the Kia Stinger. The fastback design offers a power rear hatch that will open hands-free, allowing you to access 660 L of cargo space with the rear seats up, and up to 1,158 L of cargo space with rear seats folded down. If you start to drift out of lane without signalling, the available Lane Keep Assist System will alert the driver and correct the vehicle’s course if no action is taken. The system’s Driver Attention Alert goes the extra mile by audibly and visually notifying drowsy or distracted drivers when ongoing corrections have been needed. ASCC provides the convenience of cruise control with the added benefit of adapting to traffic conditions. When vehicles ahead of you brake, the available ASCC slows the vehicle to match their speed until they accelerate again — allowing you to always maintain a safe distance. An available 360° Camera Monitoring System gives a real-time bird’s-eye view of the Kia Stinger and its surroundings, making parking and manoeuvring quick and easy.